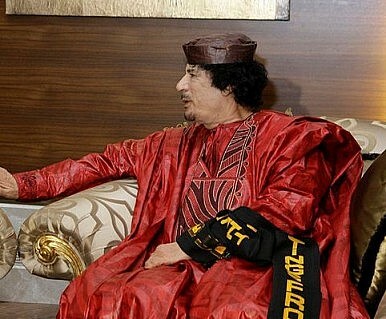 Relations between Muammar Gaddafi and Beijing have often been awkward. But don’t write off Libya ties just yet. I’ve reported recently on the evacuation of Chinese from Libya, and some people have asked me what I think about China’s relationship with Libya. It’s hard to describe—over the past decade it hasn’t really been warm or cool. However you describe it, though, Libyan leader Muammar Gaddafi certainly hasn’t made the relationship easy. In 2006, for example, when I reported from the China-Africa summit in Beijing, almost 50 African nations sent either their premier or head of state to attend. Gaddafi, however, sent only a deputy foreign minister-level official—the lowest ranked official among all the delegations. China, naturally, felt it had lost face. In addition, Gaddafi has been critical of China’s stance on a number of international issues, and has even said the country has betrayed socialism. Despite having been in power for more than four decades, Gaddafi hasn’t visited China since 1982, when he met Deng Xiaoping. Egypt’s Hosni Mubarak, in contrast, visited China eight times during his time in office. The last visit by a Chinese head of state to Libya was nine years ago, when Jiang Zemin visited—the last high-level visit by a senior Chinese delegation. Now that Gaddafi’s regime is on the ropes, Chinese authorities seem reluctant to acknowledge that the unrest in Libya might have anything to do with the kind of concerns that might resonate with their own citizens, such as inflation and unemployment. Stability is everything to the Chinese leadership, after all. Another development that the Chinese authorities and media glossed over was a speech delivered by Gaddafi in which he suggested the ongoing crackdown in Libya should be compared with the 1989 Tiananmen uprising in China. However, these recent ‘complications’ in relations have come at a time when bilateral economic ties are still close. There were an estimated 33,000 Chinese in Libya when the unrest broke out, most of whom were engineers and other workers sent from China. These workers have been assisting on building railways, roads and other projects—initiatives that also foster a closer relationship between locals and Chinese workers. I’ve heard that locals in Libya were generally friendly toward the Chinese workers. This suggests to me that even if Gaddafi ends up sharing Mubarak’s fate, whoever follows will be willing to find space for China’s interests.